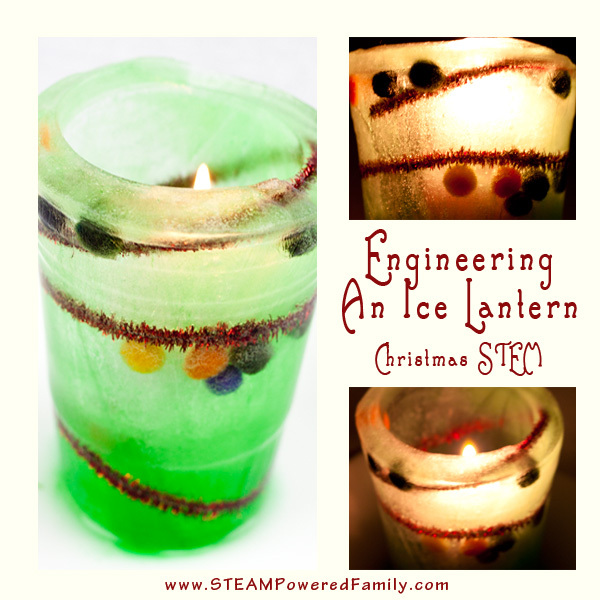 Engineering A Christmas Ice Lantern – Simple and beautiful STEM activity for the holidays. 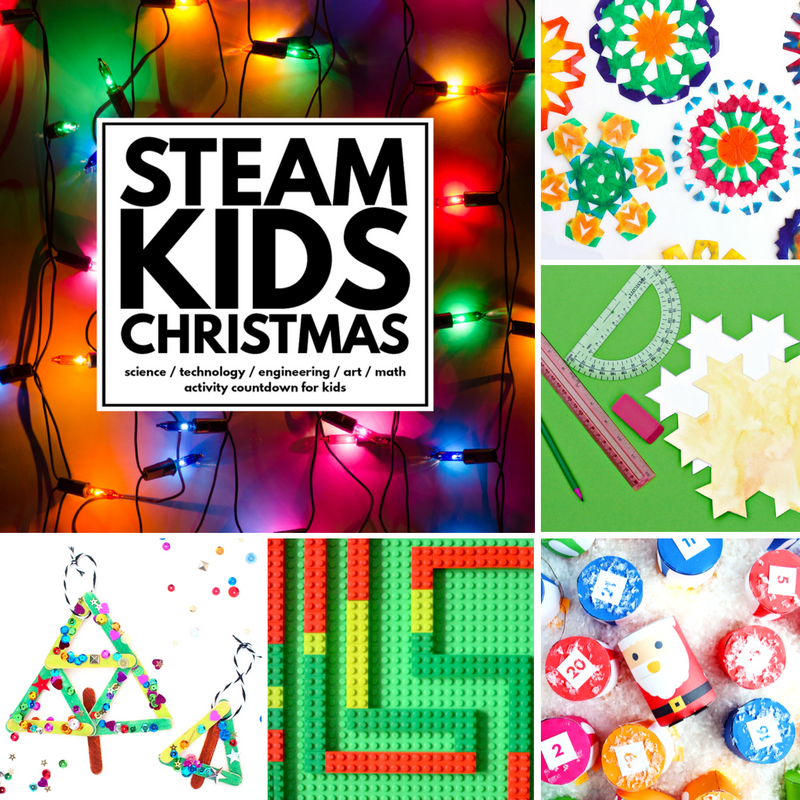 Excellent for preschool and up. It’s winter and for many of us, especially your friendly neighborhood Canadian, that means icy cold weather. We can’t let the weather deter us. In fact we can use the weather to our advantage and create beautiful things. 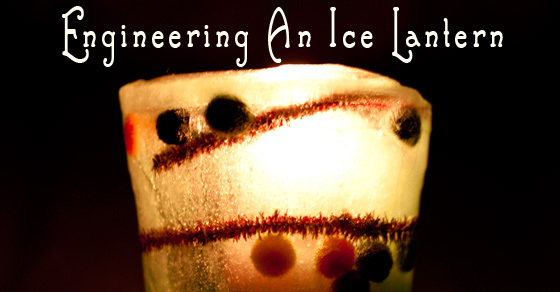 Like a Christmas Ice Lantern. 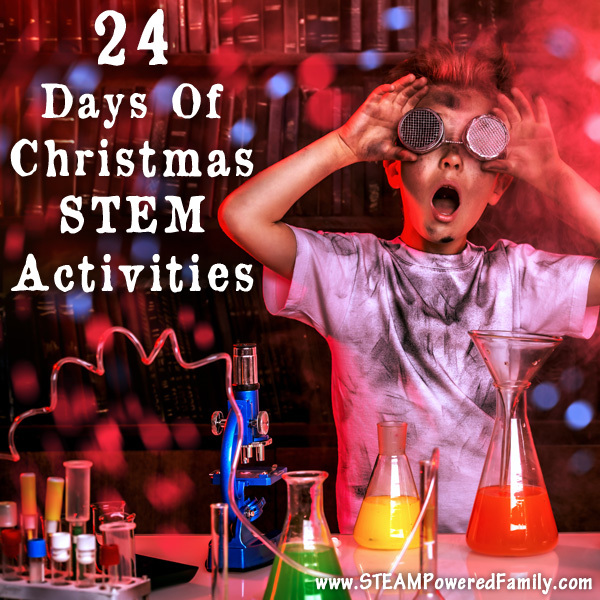 A STEM activity for the holidays. 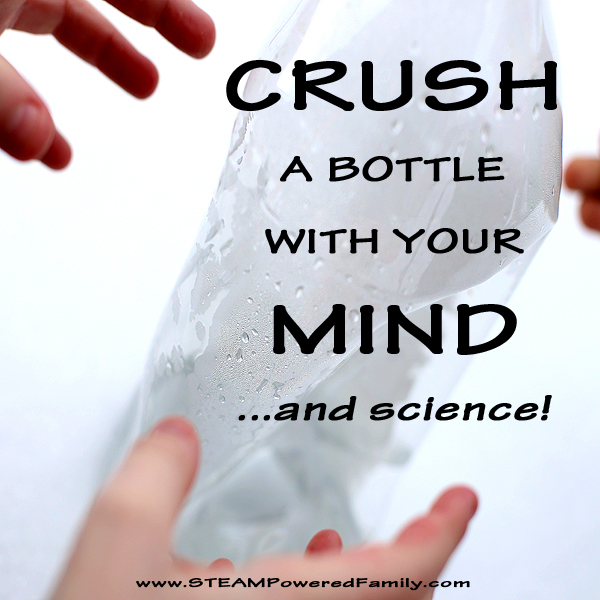 A few months ago we did an ice STEM challenge. It was fun, but also the middle of summer, so the timing was a bit… weird. When it is hot and sunny out the only place I want ice is in my drinks. 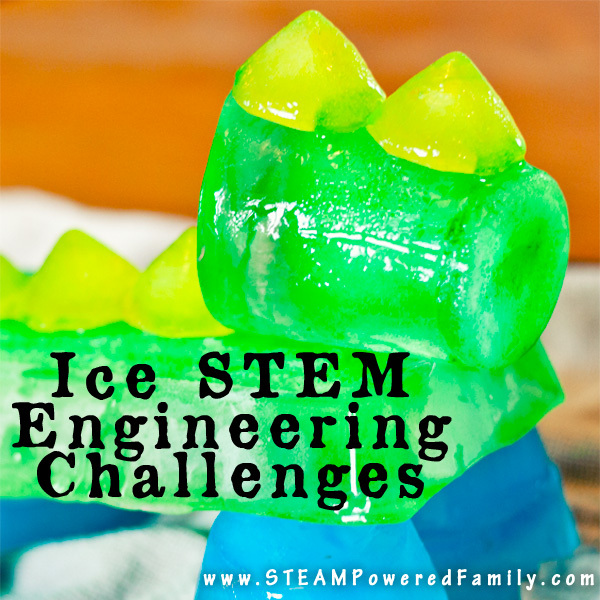 Now that winter is here we are much more motivated to tackle some icy cold STEM. It feels much more fitting. 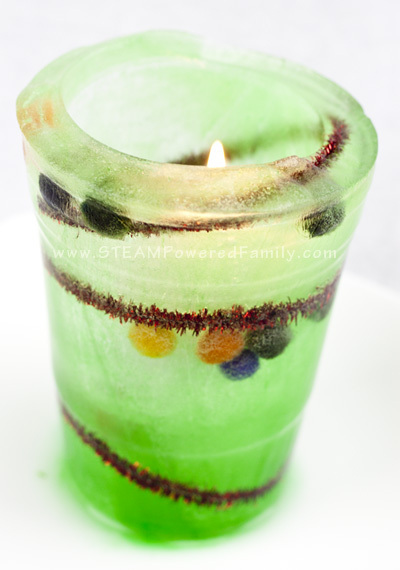 So I took one of the ideas from our original ice STEM challenge and gave it a beautiful Christmas twist. The first step is to decide on your decorations. This is the engineering challenge! 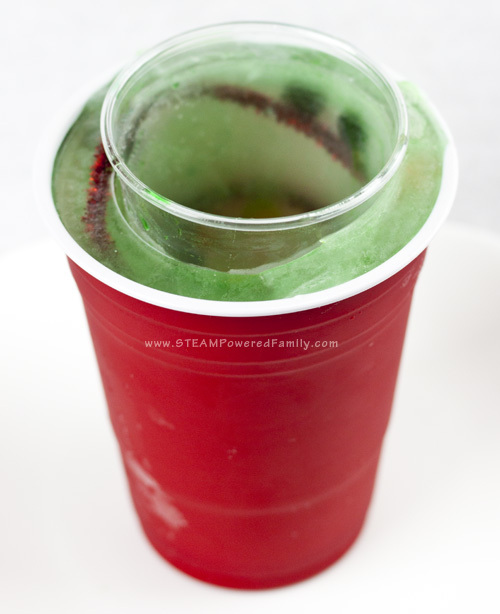 We found it was best to take pipe cleaners and twist them so they spiraled up the outside of the large cup. These acted as your garland and as a place to put all your other baubles so they stayed in place. Imagine a line of these leading up your sidewalk to your door on Christmas day. A stunning welcome for your guests!